After the Gawker case, earlier this year, I decided to start following Thiel’s career. He is a fascinating figure with his hands in lots of different businesses, many of which figure heavily into the larger theme of futurism that has become so important to me. I have since watched dozens of his interviews on YouTube and with every line, I become more a fan of his ethos. I find that his ethos align quite closely with mine, and I am eager to absorb his conclusions. Particularly, I agree passionately with his views on higher education and entrepreneurial strategy. 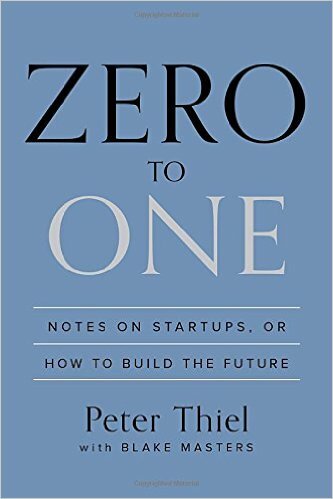 Zero to One makes the argument that there are fundamentally two kinds of businesses: ones that copy established businesses and have all their profits competed away; and monopolistic models which Thiel argues are the only businesses worth doing if profit is your goal. I will need to process this for a few months and re-read it before I can really decide how I feel about it. I was initially inclined to agree wholeheartedly, but after talking recently with a public figure who I admire, I am compelled to question that inclination.